If you install the latest 3.7.052 Messages app on your phone, you may notice that Smart Reply is now back in the settings. You can toggle it on/off as you wish. If the feature doesn't appear for you, it may be behind a server-side switch and will show up later. On my Pixel 2 XL, it's back, though I can't test the feature as no one I know communicates over SMS - ha! 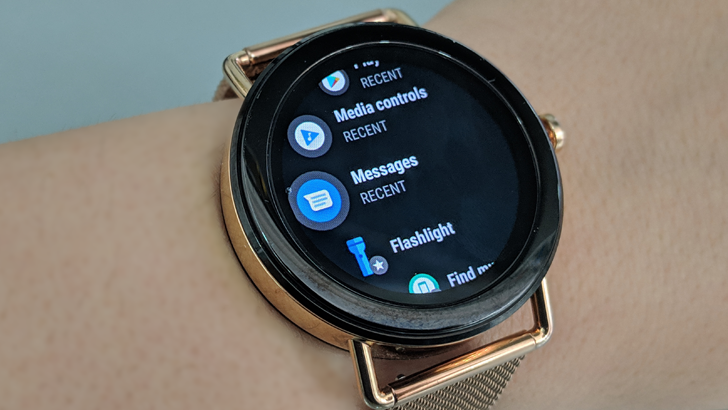 As for Wear OS, you simply need to update Messages on your watch and it will be fixed. The latest version loads up correctly and I can send new messages, view existing ones, and act on them. You can grab Messages from the Play Store on both your phone and watch, but if you'd rather sideload it manually, we have v3.7.052 for Android and Wear OS on APK Mirror.